The creator of mobile device game Flappy Bird says he’s raking in $50,000 a day from advertising. Dong Nguyen says he believes that’s a better model than charging for the app or having in-app purchases. Flappy Bird is the ideal game for people who found the mechanics of Angry Birds too complicated. 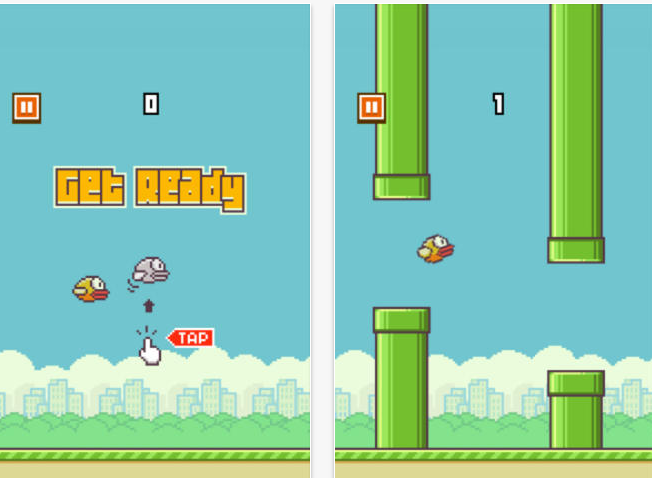 It simply involves tapping the screen to control the upwards flight of a bird, avoiding green pipes. Those who’ve played it describe it as an inexplicable timesuck, mainly because it has the right balance of being easy to play, and making you feel as if every failure is a fair outcome of your own mistakes, which you’ll definitely correct with just one more go. Speaking to The Verge, Nguyen — who coded the game at home in his spare time — said the financial model is based on the way many mini-games work in the Japanese market. Charging for the app itself is out the window (making it free has allowed him to chalk up 50 million downloads) while he believes there’s no scope for in-app purchases because he doesn’t want to add any features to the gameplay that would compromise its simplicity. Nguyen also believes that for this type of game, the integration with social features (such as Apple’s Game Center and independent sites like Facebook) to compare scores with friends has made a big difference to how often people play the game, and in turn the ad-revenue. That said, there’s a degree of luck involved. The game actually launched last April but hit it big in November, through what seems to be nothing more than a critical mass of word of mouth. Cnet notes that Flappy Bird’s revenues, however impressive, fall well short of that of Candy Crush Saga which uses in-app purchases and at one stage was estimated to be taking in $850,000 a day.